The sketches on this page refer to the Australian BCA for single use domestic dwellings, as of 2010 and I show it here only as an illustration of what to expect. Your regulations may differ slightly. 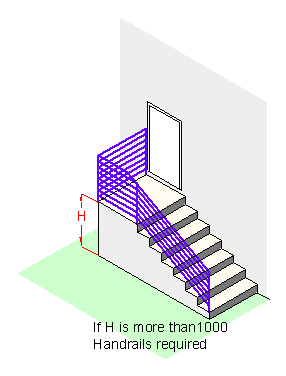 For a stair or ramp, a height of at least 865, 34", higher than the nosing line of the treads or the floor of the ramp. 1 metre, 39", above the floor of any access path, balcony, landing or the like. 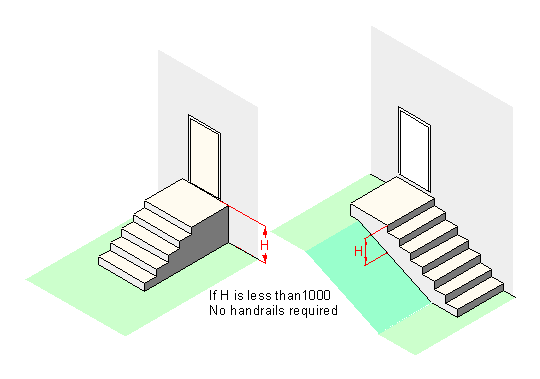 865, 34", on the section of a landing that is a continuation of the sloping stair rail. (This is the area known as the transition zone). 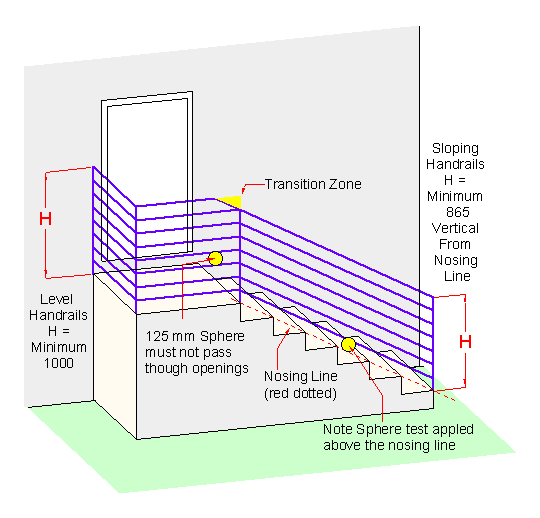 Openings in balustrades should not allow the passage of a sphere of 125, 5", diameter to pass through. Note the rule above that mentions balustrades to windows. 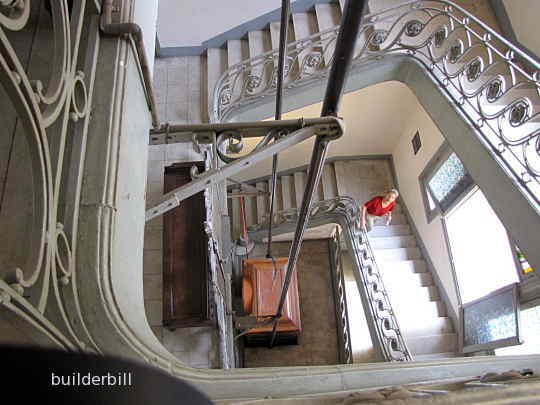 This old stair would not comply. The window opening needs protection.